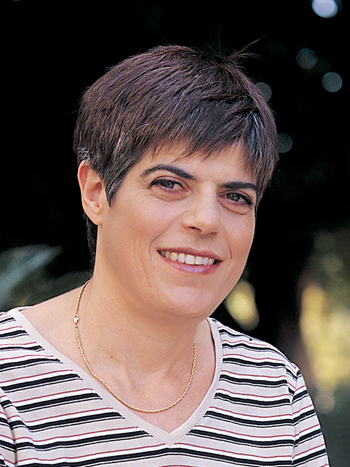 Naama Barkai is Professor at the Weizmann Institute of Science where she is using theoretical and computational tools to investigate system-level properties of biological networks. Cells are constantly "making decisions" - monitoring their environment, modulating their metabolism and 'deciding' whether to divide, differentiate or die. For this, they use biochemical circuits composed of interacting genes and proteins. Advances over the past decades have mapped many of these circuits. Still, can we infer the underlying logic from the detailed circuit structure? Can we deduce the selection forces that shaped these circuits during evolution? What are the principles that govern the design and function of these circuits and how similar or different are they from principles that guide the design of man-made machines? The interplay between variability and robustness is a hallmark of biological computation: biological systems are inherently noisy, yet control their behavior precisely. Research projects in our lab quantify biological variability and identify its genetic origins, examine how variability is buffered by molecular circuits and investigate whether variability can in fact be employed to improve cellular computation. We encourage a multi-disciplinary approach, combining wet-lab experiments, dynamic-system theory and computational data analysis. This is achieved through fruitful interactions between students with backgrounds in physics, biology, computer science, mathematics and chemistry. Naama Barkai is a member of the European Molecular Biology Organization (EMBO), the European Bioinformatics Institute (EBI), the ERC Starting Grant evaluation panel, the European Molecular Biology Laboratory (EMBL) and Academia Europaea. She has published extensively and given over 100 seminars and invited talks. Internationally she has been recognized with the first ever FEBS/EMBO Women in Science Awards, as well as the Teva Prize for research in system biology, the Michael Bruno Memorial Award (Yan Hanadiv FOundation), the Levinson Award (Weizmann Institute of Science) an EMBO Young Investigator, the Sir Charles Clore prize among others.